The softball team is under new managment. After spending the three years as the head softball coach at Massasoit before the program folded, Jordan McDermott was ready to take the year off. Between training to run the Boston Marathon, which happens Monday, studying for her educator license and spending time with her 1-year-old nephew, she was pretty busy. Then the softball job unexpectedly opened up at Whitman-Hanson Regional High in the first week of March. She applied. “I said to myself, ‘If I don’t get it, I don’t get it,” said McDermott of applying. Well, she got it, and she’s excited to dip her toes into high school softball. “I think, high school is just a better sit for me because I have more dedicated girls and the talent is much better,” said McDermott, a para professional at Indian Head Elementary School in Hanson. McDermott said two of her best attributes as a coach are her athleticism and youth. McDermott takes over a young squad that posted a seven-win season last spring under Jenna Olem, despite its ace Colleen Hughes, now playing at Westfield State, throwing just three innings due to injury. The injury thrust then-freshman Abby Cleary into the ace role, and she hurled 94 1/3 innings. She’ll lead the staff again this season. “She just has an excellent poker face when she’s on the mound,” McDermott said. “She shows emotion but she’s game face, game ready. She likes her role and is ready to do what she has to”. Senior captain Kayla Crawford will be Cleary’s battery mate for the second straight season. A Patriot League All-Star last season, junior captain Victoria Ryan is the top bat returning. The second baseman hit a team-high .382 with two home runs and 12 RBIs. Sophomore shortstop Reese Codero also returns as a starter. She hit .377 last spring and drove in 10 runs. Freshman Annie Cook (third base) and junior Kaylee Corbett (first base) will round out the infield. Sophomore Emily McDonald will roam left field with junior Sophia Molinari in center and sophomore Ella Scriven flanking her in right. The Panthers will be back in action Thursday, April 11 at 3:30 p.m. at Plymouth South. “I just want to figure out any kinks, that we have,” McDermott said. “If I have to switch the starting nine, I have to. I see a couple of the games where I think we’re going to do very well. There’s another few games that I think that we may struggle, but it’s all mental to them. The Panthers return their top two pitchers as they aim for a third straight Patriot League Keenan Division title. It’s no secret. The Whitman-Hanson Regional High baseball is propelled by its arms. In senior captains Ethan Phelps and Rian Schwede, the Panthers, winners of back-to-back Patriot League Keenan Division titles, return their top arms from last spring. Schwede, a four-year varsity player, is the ace. The Endicott-bound right hander pitched to the tune of a 1.64 ERA over 51 1/3 innings last season. Phelps is one of the best No. 2s around. He posted a 1.36 ERA over 36 innings last spring. Cronin said senior Sean Mackay, junior Devin Coulstring and sophomore Thomas Marshall will all likely log some innings on the bump as well. But for the Panthers, who have been bounced in the first round of the tournament the past two years, to take the next step, their hitting must take it to the next level. Cronin said he’s already seen an improved approach. At the end of last season, Cronin challenged then-freshman starting shortstop Danny Kent to become a better hitter. Cronin said he has. Two-time Patriot League All-Star, senior captain Mike Cook, is the centerpiece of the lineup. The Babson-bound second baseman knocked in a team-high 22 runs and hit .394 last season. He also stole 19 bases, which tied for the team lead. Phelps (.300 and 19 steals last season) and senior Derek Frank (.291 and 10 RBIs) will set the table for Cook. Frank moves from the right field, where he starred, to catcher. Schewde will hit fourth with Kent in the five hole. Junior lefty Chris Zalewski with probably hit sixth and play third base, Coulstring is likely to hit seventh and play in right field, senior Will Newell will play in left an probably hit eighth with junior Robbie Nicholson rounding out the lineup and playing first base. The Panthers do have their share of key losses from last season, including league all-star and catcher Ryan Sawtelle (hit team-high .400), Jimmy Dolan (hit .317) and Korey Howard (3-0 with 1.84 over 19 IP). W-H will also set out for its third straight Patriot League Keenan Division title this season. The Panthers begin the season with a home game against league foe Scituate Monday, April 8 at 4 p.m.
New girls’ lacrosse coach AC Decker is looking to build on the program’s past success– and more. After spending the past four years as a referee, AC Decker is looking forward to leading the Whitman-Hanson Regional High girls’ lacrosse program this spring. And the Panthers are certainly a growing program, having made the tournament four out of the past five seasons under the tutelage of former head coach Dave Rowell, despite playing a rigorous Patriot League schedule. Decker said he’s looking to build on the foundation Rowell poured, while implementing a few of his own tweaks. “An example (of a tweak) on defense is how to hold the stick,” said the first-year head coach. “They tended to hold the stick straight up or tipped forward, and I want the bottom hand out and the stick tipped backward. Coming off a 10-10 season, which included a tournament win, the Panthers were hit hard by graduation. They lost Kasey Molito (their single-season saves leader) in net, Lauren Bonavita (team-high 67 goals) and defenders Cam Boyce and Camille Miller. Senior captain Annika Putur was their only returning defender, and she’s out for the season with a torn ACL. Freshman Joli Flamos and junior Marissa Connell are likely to anchor the Panthers on defense. The position behind them, goalie, is a three-way battle between senior Marie Foscaldo, junior Brooke Beauregard and freshman Ava Barry. While the defense is a bit uncertain, the offense is not. Senior captain and attacker Zoe Lydon (30 goals and 23 assists) and junior midfielder Riley Bina (29 goals and 21 assists) will shoulder the load. Seniors, captain and attack Samantha Whitman and midfielder Savannah Poirier, should also both contribute on offense as well. 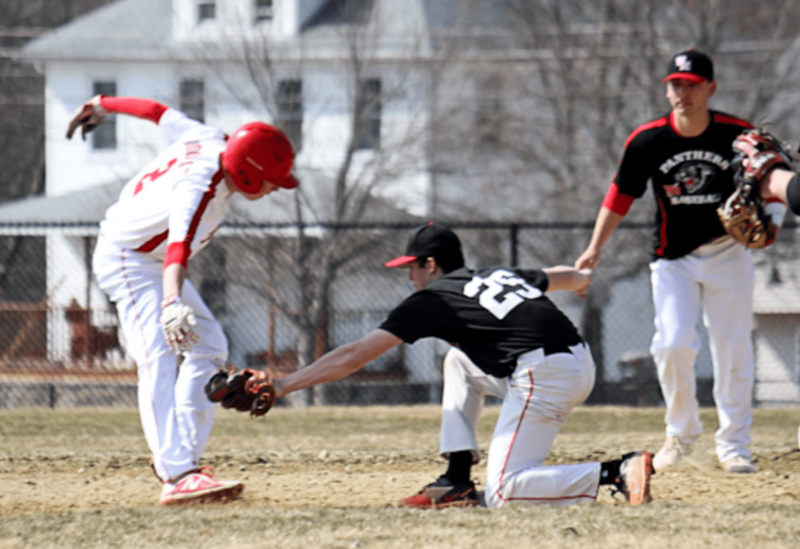 The Panthers will be back in action Thursday, April 4 at 4 p.m. at Hingham. The Panthers have 10 freshmen on the roster this season. 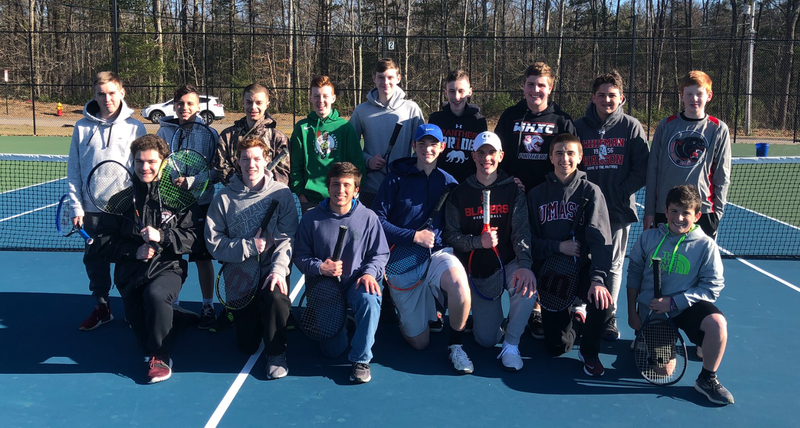 Growing the Whitman-Hanson Regional High boys’ tennis team’s numbers was a universal goal heading into last offseason. So far, so good. This spring, there were 17 kids, 10 of whom were freshmen, that showed up to tryouts and made the team. There were 10 players in total on the roster last season. Hayes credited the summer tennis program run by Sue Moss, an assistant coach on the girls’ team, for the spike in numbers as well. With such a young roster comes development. The upperclassmen are also lending a helping hand and benefiting at the same time. For the Panthers, improvement is key this season. They return just two starters with the graduation of five key seniors from last spring. Junior captain Brian Fox developed into a force for W-H last season. He rallied off four straight victories at one point and played a key role in the Panthers’ three-game winning streak to end the campaign. He moves from No. 2 singles to No. 1. A starter in doubles last season, senior Matt Hickey will be the Panthers No. 2 singles player. The other spots are really up for grabs right now. The Panthers begin the season Monday, April 8 at 4 p.m. at home against Sandwich. The boys’ basketball team finished the year 18-7, including a pair of playoff wins. Once again, the Whitman-Hanson Regional High boys’ basketball team was tasked with replacing its entire starting five at the outset of the season. Once again, it was no problem as the Panthers marched to their 11th straight tournament appearance. However, unlike last season, the Panthers advanced in the tournament, winning their first two games as the eight seed. In the first round of the Div. 2 South playoffs, they knocked off ninth-ranked Dennis-Yarmouth, 60-57, followed by a win over top-seeded Randolph, 60-51, in the quarterfinals. In their third trip to the semifinals in the past four seasons, they succumbed to second-ranked New Mission, 79-70, in overtime. The Panthers were indeed led by a balanced effort on offense with five players contributing 5.5 ppg or more. The Panthers certainty did knock down the 3 ball really well. After connecting on just 149 triples last season, one that Rodgers coined an apparition, they sunk around 200 this year. Junior Ben Rice scorer led the 3-point barrage with around 50. He also led the team in scoring with over 11.6 ppg. With an ability to get into the lane for a quick two and knock down a shot from beyond the arc, sophomore Cole LeVangie produced close to 10 ppg, which was good for second on the team. Junior Stevie Kelly was a sparkplug at the point for the Panthers’ offense, delivering over 130 assists on the season and averaging right around 8.3 ppg. Rodgers said he knows exactly what he is looking for from his players this offseason. After the Whitman-Hanson Regional High boys’ hockey team fell to Westwood, 5-1, in the first round of the Division 2 South Sectional tournament, head coach Chris Googins had a simple message for his team. “I told them, ‘Don’t underestimate what we achieved as a team this year. It was a few years since we’ve been to the tournament. There were a lot of good things that were accomplished this year,’” said the eighth-year coach, in his third season of his second stint with W-H.
A few years is an understatement. It had been since 2013 when the Panthers last made the playoffs. After coming within two points last season, they made it by one point this time around with a 10-9-1 mark. Some games the Panthers were even able to roll out a third line featuring sophomore Josh Pike and juniors Calvin Cooper and Reed Watson. The Panthers’ top line was where of course they received a bulk of their production. Junior Adam Solari paced the Panthers with 10 goals and 14 assists and classmate Chris Stoddard was close behind with 13 goals and 10 assists. “Adam had a nice season offensively,” Googins said. “When given time and space, he’s pretty creative. Senior assistant captain and forward Owen Manning was also a playmaker up front, potting six goals and dishing out 14 assists. Along with being one of two Panthers league all-stars, he was selected a Shriners All-Star Classic participant. Senior captain Ed Scriven (11 goals and 12 assists) started the season on the first line but converted to defense to fill a void. He was also named a league all-star. Behind Scriven, sophomore goalie Bob Siders, a transfer from Archbishop Williams, emerged as a rock. He held Duxbury, the eventual Division 1 state champion, to three goals over six periods of action and won consecutive do-or-die games down the stretch. “He was given the opportunity to come in and earn the starting job, he did and for the most part he was steady,” Googins said of Siders. Googins said he can visualize Whitman-Hanson hockey becoming a contender in the not so distant future. It all starts in the spring. Inconsistency. It was a thorn in the Whitman-Hanson/Silver Lake high school girls’ hockey team’s side all season. “We’ll play two really good periods and have one really bad period and every time we had a really bad period, it hurt us,” said fourth-year WHSL head coach Kevin Marani, whose team finished the winter 4-13-2. The co-op’s youth played a large factor in its inability to string together a full three periods. Fifteen of its 19 skaters were either freshmen or sophomores. They dropped five games by two goals or less. Wins came against Stoughton (twice), Quincy/North Quincy and Shawsheen. The Panthers did make strides from last season, doubling their win total, upping their points total from four to 10 and potting 62 goals as opposed to 31. Back with WHSL after playing club hockey last season, junior captain Alyssa Murphy (Kingston) was a force on offense, netting 27 goals and dishing out 15 assists. She was in on 67 percent of the team’s tallies. Sophomore Emily McDonald (Whitman) was second on the team with 15 points (6 goals and 9 assists). Not only did she play on the same line as Murphy, but she’ll serve as a captain with her next season as well. Surprisingly enough, Marani said the strength of the team was defense. To be strong on defense, you need a steady presence in net, and sophomore Kat Gilbert (Halifax) provided that, turning away 481 shots. Freshmen Lilly Ulvila (Kingston) and Abby Powers (Kingston) provided the Panthers with a look into the future. The two combined for 11 goals and 10 assists. Marani said he has the same expectations heading into the offseason as he did coming into this year. The boys’ track team finished 2-3. In Mike Driscoll’s 20-plus years coaching track at Whitman-Hanson Regional High, this winter’s boys’ team holds a special place in his heart. Not only is it his last, but it is one of the most dedicated groups he’s coached. It’s that sort of attitude that payed off for many of the Panthers. Senior captain Billy Martell embodied selflessness and hard work. Already one of the best sprinters in the Patriot League, Martell took on the shot put, and flourished. He was alright, finishing sixth at the Patriot League championships with a throw of over 41-feet-1 1/2 inches. Junior Pat Bui was another sprinter who took on the shot put, finishing eighth at the Patriot League championships with a throw of 37-feet-8 inches. Senior Kyle O’Brien burst onto the scene for the Panthers, who finished 2-3, posting a career year, capped by a ninth-place performance in the 600-meter run in the Div. 3 championships with a time of 1:28.35. Crossovers from cross country in sophomore Theo Kamperides and junior Brandon Hager were huge for the Panthers. Kamperides had a pair of wins in the 2-mile run. Hager starred in the 1-mile run. Driscoll said the highlight of the winter came Jan. 4 in a 51-48 victory over Pembroke, where the 4×200 relay team of Bui, Martell, fellow seniors Sean Kukauskas and Nic Fernandes clinched the win. While Driscoll won’t be back next season, he said he believes the program only get better. “I think they’re in good shape,” Driscoll said. “I think they’ll continue to grow. I think they’ll continue to get better and the numbers will grow. W-H finished the season at 12-10. Shortly into its first practice, the Whitman-Hanson Regional High girls’ basketball team was dealt a major blow. Senior co-captain Erin Leahy went down with an injury. Leahy, who was a Patriot League All-Star last season after missing a chunk of her sophomore campaign with a torn ACL, was expected to be a major contributor. She wouldn’t see the floor all season. It took the Panthers a few games to find their rhythm, stumbling out of the gate to an 0-2 record. After that second loss, 42-34 to Hingham, sixth-year head coach Jenna Olem remained assured her team would figure it out. She was right. The Panthers locked down wins in their next five games. Two of those wins came in the Hoosac Valley tournament, as the Panthers knocked off the host Hurricanes (this season’s D3 Western Mass champions) and Greenfield (this season’s D3 Western Mass. runner-up). The Panthers first league test was a matchup against Duxbury, and an Ann O’Neill 3-pointer sent them to victory. W-H ended league play at 7-7. It had both Plymouth North and Duxbury, in its rematch, on the ropes, but just couldn’t finish them off. The Panthers capped the season with wins over Abington (44-25) and Rockland (59-53), two tournament teams, to claim the Shawn Cotter Invitational Tournament. The Panthers, who allowed 37.5 points per game during their last six regular-season contests, set out to win at least one in-season tournament this winter and they won both. In the D1 South tournament, the 11th-seeded Panthers succumbed to sixth-seeded Mansfield in a nail bitter, 45-41, finishing 12-10 on the year. W-H was paced by the play of senior forward Kathryn Dunn (11.5 ppg , 8 rpg and 3.5 apg) and junior Britany Gacicica (8.4 ppg and 7.3 rpg) this season, both of whom league all-stars. O’Neill, juniors Olivia Martin (third on team with 6.6 ppg) and Hannah Damon (second on team with 2.5 apg) and sophomore Reese Codero all stepped up in spurts.